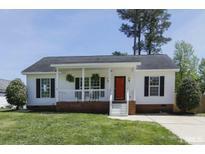 Find Holly Springs, NC Homes for sale. View Photos, Maps and MLS Data Now! Mckenzie - Fenced in back yard. Great location! MLS#2249851. 988. Custom built screened in porch, fenced-in backyard with two gates, and a side load 2 car garage. MLS#2247553. 4140. Holly Pointe - Expansive deck, large firepit and screened-in porch are perfect for entertaining. Must see! MLS#2249651. 2731. Fenced back yard with storage shed has lots of room for backyard entertainment. MLS#2249724. 1720. MASSIVE & FULLY FENCED Backyard & Ext Storage! Won't Last Long! MLS#2249705. 4381. Private bath access for all Bedrooms! WUA for expansion. 3-car garage! MLS#2246839. 1320. 12 Oaks - Use the loft space upstairs for family movie night. Make this home your own. MLS#2249548. 4303. Photo of model home for representation purposes only. MLS#2249523. 3789. Photo of model home for representation purposes only. MLS#2249517. 3789. HVAC '17 & '15; New in 2019: ROOF, granite in kitchen with tile back splash, new tile in master bathroom, carpeting, refinished hardwoods and more! Pool & tennis avail. MLS#2249356. 4927. 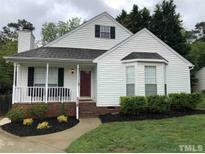 Holly Glen - Fiber avail, was parade home, 1yr warr. MLS#2249623. 636. Just minutes to tons of Holly Springs and Apex shopping & dining and 540 & US-1 for easy commutes. MLS#2248830. 4623. Avocet - Pictures are not actual home but same floor plan. MLS#2249097. 604. Fantastic screen porch + deck overlook great wooded views. New HVAC 2017. MLS#2249148. 649. Holly Pointe - Huge Daylight basement-Recreation Room w/firepl, bath & MediaRm-Large Fenced yard w/ 2tier deck overlooking Mature Landscaping. MLS#2247149. 4552. Avocet - Pictures are not actual home but same floor plan. MLS#2249094. 604. Avocet - Pictures are not actual home but same floor plan. MLS#2249102. 604. Brook Manor - Large loft area can be used as office or flex space. Crawlspace & attic have added insulation. MLS#2249160. 3333. Sunset Oaks - Bring your ideas and design and see how you can transform this place into just what you have been looking for. MLS#2248864. 2882. Don't miss final opportunities to build a new home in 12 Oaks! MLS#2248977. 3789. Playground in community. Pool membership optional. MLS#2248516. 2611. Model home photo for representation purposes only. MLS#2248359. 3789. Don't miss the 3-car garage! MLS#2247597. 4542.